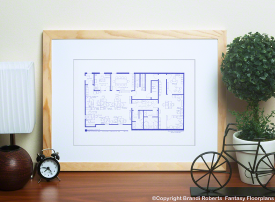 My poster for The Office floor plan features a desk for all of your favorite co-workers at Dunder Mufflin Paper Company: Michael, Pam, Jim, Dwight, Phyllis, Andy, Stanley, Creed, Angela, Kevin, Oscar, Toby and Kelly. Looking around the office you'll find: a mind-controlled coat rack, Michael's screen-play, Pam's origami paper doves and a stapler in some jello. Meredith's desk has a shot glass on it. On Kevin's desk are some M&M's. And on Stanley's desk are crossword puzzles. Do you need to instant message Jim? Well, his screen name is JIM9334. Angela is at extension 128 and Andy at extension 222. Got a complaint? You can put it in the box under Toby's desk. Ever the conscientious worker, Pam is playing Free Cell and Creed is playing Spider Solitaire. My floor plan for Dunder Mifflin is featured in Family Circle magazine's December 2018 holiday issue! Dunder Mifflin Paper Company features an office for Michael, conference room, kitchen, break room, and more. You'll find your favorite dysfunctional co-workers in suite 200 of the Scranton branch. 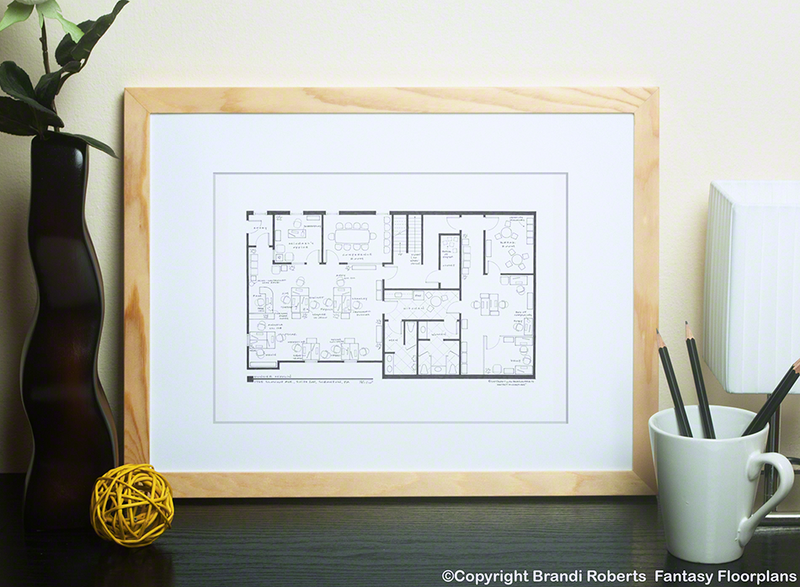 Pair this with my floor plans for Michael Scott's apartment first floor and second floor. 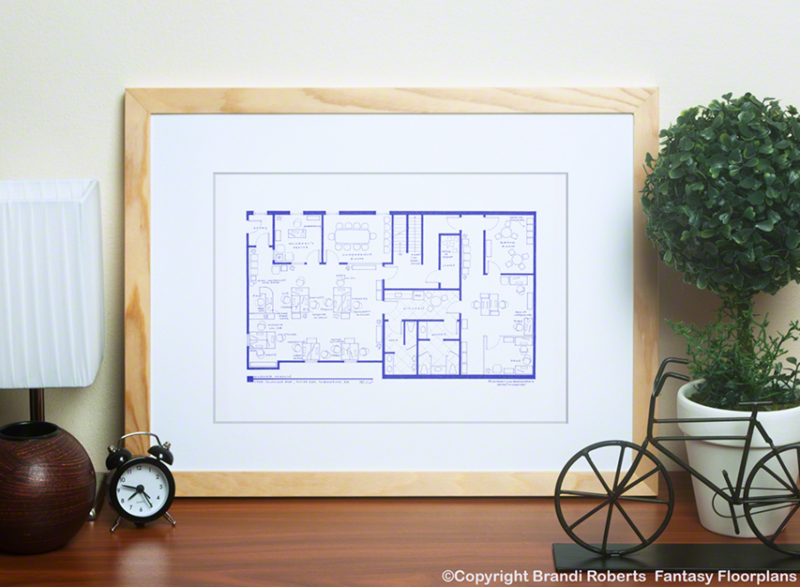 And add Jim Halpert's apartment for the complete set!